Looking for cheap pop up banners that don’t compromise on quality? Our banner stands are a popular choice to create a branded backdrop on a budget. Display banners are one of the most versatile and lightweight portable displays being used to great effect at events, exhibitions as well as in store for promotions. 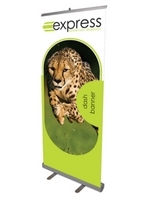 At Express Exhibition Displays, we have a wide range of banner stands to suit your needs. Find out more on how to pick your perfect banner, or speak to a member of our team on 0808 231 8560 who will be happy to help. 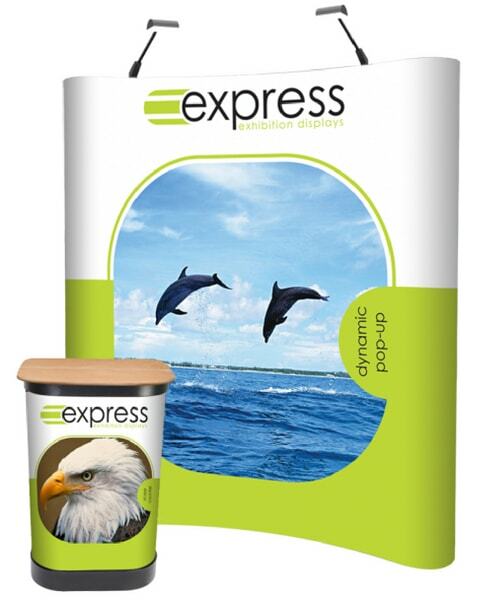 Why choose Express Exhibition Displays for your pull up banners? 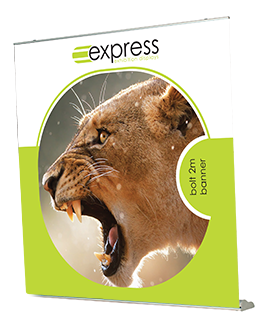 Roller Banners – most popular choice as the graphic is stored rolled in the base. To assemble, the graphic is gently pulled from the base and secured with a pole. Transporting a roller banner is super-simple as the base doubles up as a transport case for the graphic. We’ve timed it and roller banners can take as little as 30 seconds to put up! Tension Banners – so called because you’ll need to create tension of the banner during assembly. Often chosen for fast changing messages as the base and graphic are stored separately, making replacing graphics really simple and cost effective. Now you have a type of banner in mind, the next thing to think about is size. Our pop up banners range from tabletop A3 sizes, half sized / thin banners at 600mm wide (which are great to use in retail) to our standard 800-850mm wide banner. 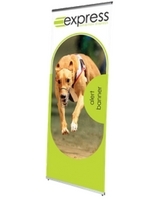 Wide banners then extend the range up to 2m wide. They’re a great alternative to pop up stands if space is tight. Our high-tech UV print process means that all of the graphics we print will never peel, flake away, or smudge with use. We also only use the highest, premium quality materials to print on which means your banner won’t curl at the sides. As a pro tip, as the banner is stored rolled up, it will naturally ‘wake up’ with a bit of a curl which is perfectly normal. Give it half an hour fully assembled and the curl will drop out, leaving nothing to distract from your stunning graphics! If your graphics are well looked after, they could be used for years to come. With our in house design experts, we know what designs work well on banner stands used for exhibitions, events, retail and internal events. So if you don’t have print-ready artwork in the right format, we’re here to help. 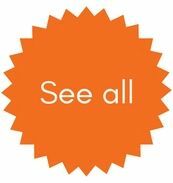 From simple artworking that follows your brief to add text, logos and a simple design to a more creative process where we source images and design a stand that has a wow-factor, we can help you throughout the design process. When your artwork is print-ready, our in-house graphics technicians check your design by hand for quality. We never ‘just’ send something to print after receiving print-ready artwork. With a no-tool assembly, banner stands are assembled in seconds. Most involve inserting a pole into the base unit which acts as an anchor point. The top of your graphic is then usually attached to the end of the pole which gives it rigidity. Although it is always worth checking our assembly instructions as models do vary. As a pro tip, it’s easier to attach the pole to the top of your banner by leaning it over to an angle rather than standing on your tiptoes. Our prices may be small, but our dedication to our customers isn’t. We know that it can be frustrating when your order is moved from person-to-person. That’s why all our customers have a named account manager from enquiry to delivery and beyond. Whether you’re concerned about artworking, making your order in time or anything else, they’re here to help. Talk to your account manager today on 0808 231 8560 or live chat with us online now. *Please note, our graphics check service does not include checks for accuracy or spelling/grammar.